Don’t you know what to do when temperatures rise? Follow the advise of OnSpain to beat the heat in Malaga. Summer is finally here… It’s so hot! Malaga is a beautiful city, where it is good throughout the year thanks to its mild climate both in winter and summer by the influence of the Mediterranean Sea. But when the thermometer rises up to 30 or 35 degrees, we need to find something to beat the heat in Malaga. At OnSpain School, language school in Malaga, every year we recommend some tips to live in the city for English, Dutch, Swedish and Canadian students and in general to everyone who are not used to the high temperatures during summer. 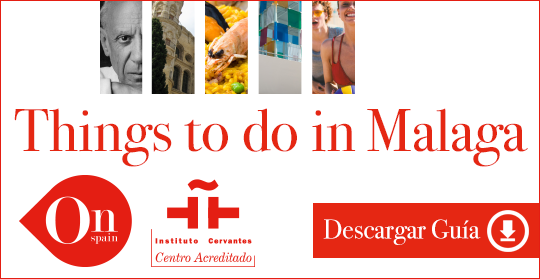 Read this list of OnSpain of 10 tips how to beat the heat in Malaga so you will not arrive unprepared this summer. It seems silly, but sometimes a fan is essential to sleep in these hot malagueñas nights. On a hot day in Malaga we advise you to visit a park where you can take refuge in the shadow of the trees. Malaga has a market hall very beautiful and original, the Atarazanas market, where you can find fresh fruit and vegetables of the day. Avoid the hottest hours and take a dip in the sea. Without a doubt, the seawater will quench your heat. In any bar in the centre or in the area of the port, you can take a refreshing fruit milkshake … really nice! If you are in Malaga on holidays you can visit the entire province. Climbing to small villages such as Antequera where you will find many mountains and villages full of calmness. And immerse yourself into the Spanish culture. You can find them in many shops in Malaga to fan yourself when temperatures are very high. During summer, cultural sights close later. A good idea is to visit special places in the evening, such as the Alcazaba. Do not expose yourself to the sun during the hottest hours. On the beach, in general, it is very well thanks to the breeze coming from the sea, but remember to avoid the sun from 11 to 15. In the centre you will find many shops and shopping malls for your shopping day. And if the heat makes you suffer, go to a nice place with air conditioning to beat the heat in Malaga. Have you taken note? For a GREAT summer in one of the best places in Spain, fix these 10 remedies to beat the heat in Malaga. As malagueños… we can assure you! OnSpain… your door to learn spanish!